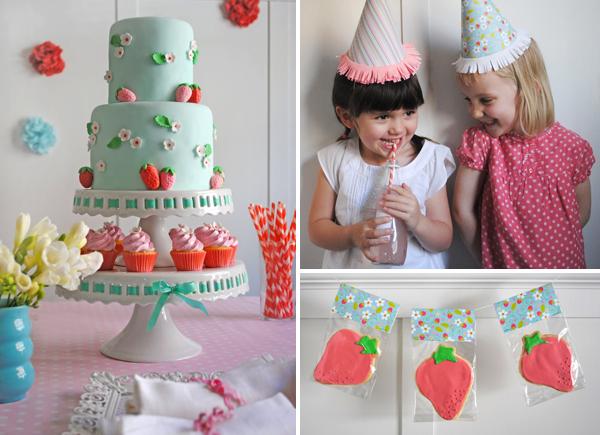 How adorable is this Strawberry party that Michele from Cakewalk threw for her friend's daughter? 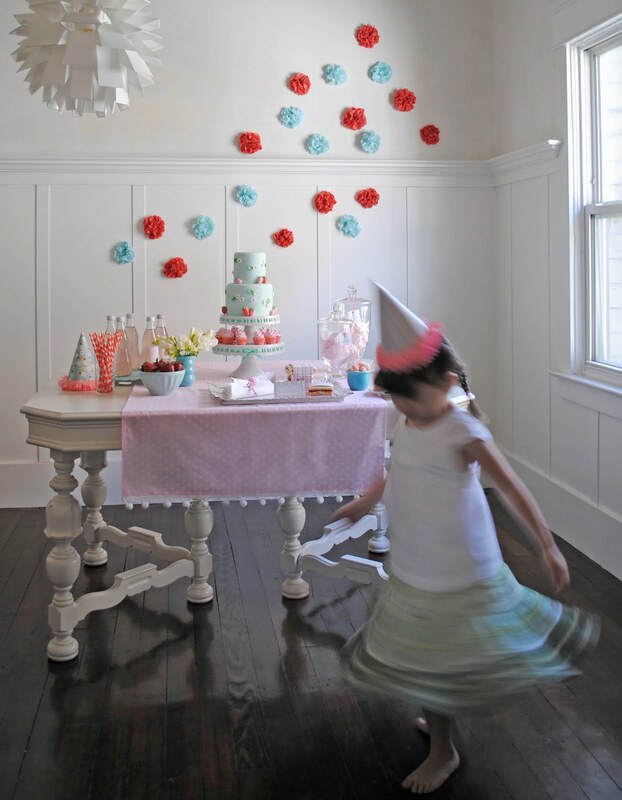 Michele did all of the baked goods and design and Ana Gonzales helped with the styling and photography. Isn't it sweet? Seriously, this takes the 'Strawberry Shortcake party' (that I had as a child:)) to a whole new level. Very cute indeed. This is a darling party and I love that it's not styled to death. I'm pretty tired of the dessert tables with the labeled goodies all lined up like soldiers. This looks sweet and kid appropriate. I absolutely love this theme, the decorations, what a memorable event!